Last year the law changed which allowed schools to keep inhalers for emergencies in school much like an epicene etc. 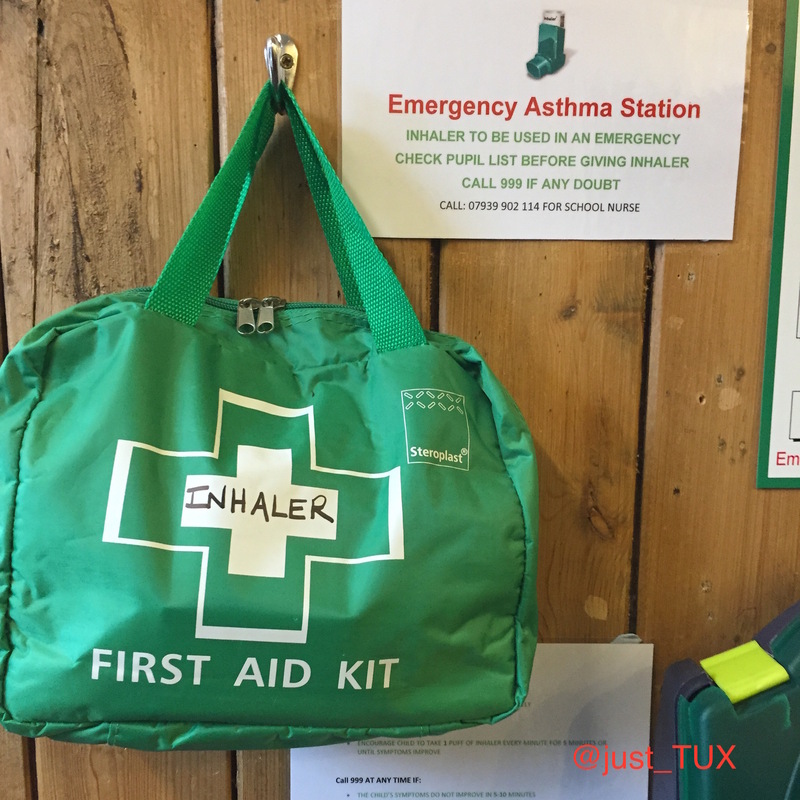 Until then an asthmatic child had to have their own individual named and prescribed inhaler which was carried on their person or kept under lock and key- something which is not useful in an emergency situation when treating an asthma attack is time critical. The sooner the attack it treated the less risk of adverse effects happening and potential hospitalisation. I must be honest and did not think much about the inhalers in schools law being changed mainly because I have left school but also because this was never an issue for me at school. I was fortunate that I had great support with my asthma in school. I was at boarding school and kept my inhalers on me, or in my dorm room or the teacher had it during games. If I had an attack I would go to the school Medical Centre to be seen and would see a Dr if needed. The support I had was second to none. My housemistress even drove behind the ambulance I was being taken in to hospital in the middle of the night. I was never alone with my asthma and that really made what could have been terrifying experiences a little less so. I was amazed that they had an asthma station. I remember the support I had a school but never though of St L’s to be forward thinking and have something like this. In my day my school jacket was a cloak with house colours in the hood (all very Harry Potter- but it was the warmest thing around) so we were really not with the times until I was in my last year and we got sports jackets- this was ground breaking for us!! I recently emailed school and had a lovely email back from the school nurse who was not there when I was at school but she was the one who implemented the station and put a policy in place as well as getting a list of pupils whose parents consented to them being given the emergency inhaler by a member of staff. The initiative to implement this is great. I really hope more schools can get emergency asthma stations put in place as it could make a real difference to pupils with asthma. More schools need to follow suit but I understand how hard it can be to put something like this in place and maintain. If we could develop a blue print which could be rolled out across schools so they would not need to establish their own way of implementing and maintaining might mean more schools sign up to become asthma friendly rather than rely on pupils who will not always remember to bring their inhaler to school with them. I hope the work done by the nurse at St L’s keeps going and others can to be as forwarding thinking and get an emergency asthma station!